To become a successful forex trader, you will need to develop a trading style that is in line with your personality and level of risk tolerance. In your journey to becoming a consistently profitable trader, you will also need to learn to treat your forex trading as a business and not a gambling venture. One way to think about a potential trading style that may be suitable for you, is to dissect your current purchasing habits and see if you can replicate those habits into a trading style. For example, Individuals who like to find bargains when they shop and feel comfortable scouring the internet for hidden gems will likely be more successful developing a trading strategy that is more value driven. Others might feel more comfortable looking for historical results and allowing an automated trading system to generate their buy and sell signals. The point is that before you can choose a trading method, you must first recognize what type of person you are and where your comfort level lye. Speculators who are interested in finding hidden gems are often called value investors. In the foreign exchange market, this type of investing style typically focuses on the price value relative to the long-term outlook of a currency pair. Currency traders often value a currency pair based on the interest rate differentials. This is the difference between one country’s sovereign interest rates vs another. The difference helps make up the value of the forward rate which many believe is the driving factor behind the long-term movements in the currency market. The chart of the U.S. 10-year yield versus the German 10-year yield move in the opposite direction of the EUR/USD currently pair. Determining your style will help you become a competent forex trader. There are many successful forex traders and forex success stories of traders that incorporate their own unique fundamental and technical approaches in the market. In the currency market, George Soros comes to mind. He is famous for breaking the Pound and the Bank of England in 1992. He is credited for forcing the BoE from the European exchange rate mechanism. In the equity space, Warren Buffet is likely the most famous. Many independent forex traders including these well-known investors, know that they must follow a style that is best suited to their own personality. Relative value trading is also a style of value investing. Relative value is the attractiveness of one instrument relative to another, or for a given instrument, one maturity relative to another. The returns are measured in terms of risk and liquidity, relative to return. Many relative value strategies require a view of one instrument relative to another which can be generated from a fundamental view or statistical view. Since a currency pair is one value versus another is it the ultimate relative value trade. Another trading style that you can use to become a currency trader is an analytical strategy based on intermarket analysis, price patterns or statistical arbitrage. Many investors believe that historical price patterns repeat themselves and as such these patterns can predict future price movements. Some analytic strategies can show fabulous returns, but there are very few who can sustain long term success. In fact, the “Random Walk Down Wall Street” is a book that argues that individual traders cannot beat the markets over the long term. Many black box strategies work for a short period of time, but eventually experience rocky periods. One reason that analytical strategies fail is period specific back-testing which only incorporates recent periods. When sentiment changes, an automated trading system can have a difficult time adjusting and perform poorly in a new paradigm. Renaissance Technologies is one of the most famous analytic hedge funds, founded by James Simons, who could be considered the father of statistical arbitrage. The fund uses a combination of high speed computers and statistical anomalies to capture inefficiencies within the financial markets. Analytic strategies generally focus on anomalies or historical price distributions. There are a number of relative value trading strategies that focus on a reversion to the mean. For example, a pair trading strategy, can measure the historical ratio of one instrument versus another and determine how far a ratio will stretch from the mean before reverting. Discretionary trading, is a style where you have complete discretion over when you will enter and exit a position. These are strategies that are generally based on subjective analysis. Many retail traders appreciate and gravitate towards this trading style as it gives them more control and leeway over the decision processes. Traders generally use two different types of analysis to generate returns when using a discretionary trading style. The first type of analysis is called fundamental analysis and the second is called technical analysis. Fundamental analysis uses a relative value style to gauge the price of an asset such as a stock, bond, commodity and or currency which is predicated on changes in economic data, along with monetary policy. Fundamental analysts believe that new information, which is currently not incorporated in the price of an asset, will quickly change to a new level based on the interpretation of the information by market participants. An example of macro fundamental analysis is examining the statement of the Federal Reserve following an interest rate decision. Traders will also use technical analysis as a tool to assist in making discretionary trading decisions. The concept of technical analysis is that all available information is already reflected in the price of a financial security and therefore the study of historical price movements is the best way to gauge future price direction. Examples of technical analysis include support and resistance lines that reflect supply and demand for a currency pair. Additionally, technical analysts can evaluate various technical indicators and chart patterns for specific market timing decisions. 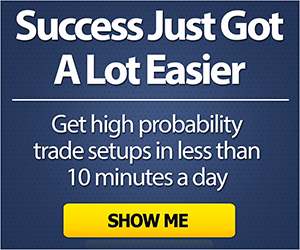 To make a living trading forex you must find a trading method that can work successfully over the long term. But along with a positive expectancy method, you will need to trade in a manner that you are comfortable with. If you attempt to trade a break out strategy, but your trading psychology is to find value all the time, you may be constantly looking for a pull back after a breakout rather than trading the initial breakout. Trading either the Initial Breakout or the Pullback after the breakout is fine, but the point is that you must be aware of your psychological makeup and tendencies so that you are actually trading consistently per your specified trading plan. Once you have found your optimal trading style, you can then determine your risk tolerance an incorporate that component into your trading plan as well. Regardless of the trading style selected, a trader will encounter specific types of risks that they will need to accept. For example, a bottom up trading style will likely generate losses initially before the market re-evaluates a security which could eventually lead to gains. Expected returns from Discretionary trading styles can be more erratic due to human involvement as opposed to systematic trading methods that may have been bask-tested over a decade or longer. To attain any level of forex trading success, you need to incorporate solid risk management into your trading program. Many traders will go through the process of finding a great entry signal but fail to understand the importance of position sizing and risk management. One of the biggest mistakes forex traders make on a consistent basis is using too much leverage. If you use leverage aggressively, you are bound to have a bad trade that can get out of control and possibly even lead to blowing out your account. To achieve optimal results, you will need to determine the appropriate amount of capital to risk per trade, and also how much of your portfolio should be allocated to each strategy. For a portfolio, investors need to determine the most efficient amount of capital to use when making an investment. There are several money management strategies that can be used to determine the bet size of an investment, which include a fixed bet or a fixed-fractional bet. In a fixed betting system, the amount of capital remains the same no matter how large the portfolio grows. An alternative is a fixed-fractional betting strategy. The fixed fractional bet sizing model relies on using a fixed percentage of capital on each trade, regardless of account size. The latter strategy is dynamic and helps increase or reduce risk as your portfolio grows, or declines in size. Asset allocation involves appropriating your funds to different types of financial instruments, as well as, different investment strategies. The goal is to use asset allocation to generate returns that will meet your expectations while reduce risk as much as possible. While you might find that you can generate very strong returns by generating income from a discretionary strategy, it is important not to put all your eggs in one basket. A diversified portfolio of asset classes and strategies is one of the best safeguards against excessive drawdowns and potential black swan events. Most investors are familiar with stocks and bonds, but a prudent allocation strategy would also incorporate alternative investments such as currency trading, real-estate or commodities strategies. One of the best ways to drive your allocation strategy is to determine the type of risk you are willing to assume. This starts by evaluating your time horizon. If your time horizon is a long period, you can likely afford to take greater risk. The returns that you will receive are directly correlated to the risk you are willing to take. Investors are paid to take risk. For example, stocks will generally generate a higher return compared to a risk-free return such as a treasury bills. Your goal should be to find a mix of assets that will meet your long-term investment goals. It is very important to be realistic about your returns. Finding the appropriate mix of financial products that will perform per your assumptions is the key to your long-term success. The reality is, if your expectations are beyond reason you will need to accept more risk. If you are looking to beat the benchmarks, you need to perform well in good times and bad with an asset allocation strategy that can still make money during turbulence. Just as a benchmark, The S&P 500 has returned 9.75% to investors per year on average over the past 20-years, excluding dividends, while the 10-year U.S. treasury has returned an average of 3% per year excluding coupons. 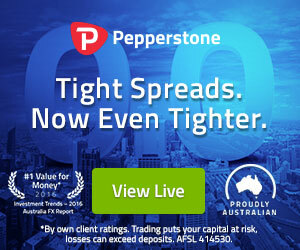 So as an example, if you are targeting a 20 % per year return for your overall portfolio, and you have allocated 50% to a US Equities index fund with a historical average rate of return of 10%, and 50% allocated to a Forex Trading account, then you will need to maintain a 30% return from your Forex trading account to achieve the 20% overall target. A diversified portfolio means you spread risk into numerous categories such as currencies, stocks, bonds, and commodities, but also diversify risk within a specific category. Your goal is to find the right mix that will perform well over the course of time. Diversification within stock categories means that an investor will look for stocks that increase in value during growth periods, as well as, stocks that outperform when equity markets are underperforming. An example of a defensive type of stock sector is consumer staples. These types of companies that sell items that are needed regardless of market conditions. Consumer staple companies produce items such as soap, tooth paste and toilet paper, which outperform during weak economic times, but underperform when market conditions are strong. In the currency market, certain majors, currency crosses and exotic currency pairs can underperform or outperform based on major interest rate differentials or some other fundamental factors. Investors need to diversify within all categories. For example, currency traders might want to allocate some money to breakout strategies, as well as a, value methodologies. For bond investors, creating a diversified portfolio within corporate, municipal and sovereign is critical for long term success. Investors also need to structure their bond portfolios by tenor to benefit from higher long term yields and the safety of short term yields. When markets become volatile you need to control your emotions and respond accordingly with a cool head. Typically, knee jerk reactions can end up generating loses. In addition, you don’t want a stubborn attitude that can lead to outsized losses. The ability for a FX trader to control their emotions plays important role in the success or failure that they experience in the market. Before you start trading forex in a real money account, you must understand this and take steps to ensure that you can keep yourself under control. If you are unable to control your emotions, you will likely not see the profits you are looking for as a forex trader. There are numerous reasons why currency prices rise or fall. These factors can include politics, catastrophes (both manmade and natural), social unrest, opinions by analysts, supply/demand etc. The total of these factors along with additional relevant information that has been disseminated though out the markets creates either a bullish or bearish sentiment. There are as many different trading approaches as there are reasons for market movements. And your job is to find an approach that best suits your personality. Each trader must analyze their personality and find a style that incorporates their risk tolerance and habits. This is a preliminary but integral step in becoming a profitable forex trader. In addition to finding a trading style that fits your personality, you will then need to add a prudent risk management strategy that focuses on risk at the trade level and the portfolio level. In addition, you will need to allocate the appropriate amount of capital to your trading business and diversify that capital in a way where your overall portfolio can outperform as a whole in any market condition. And finally, controlling your emotions and treating trading as a business as opposed to a gambling venture will be key factor to your trading success.